HeavyDuty that is resistant to both wind and rain. 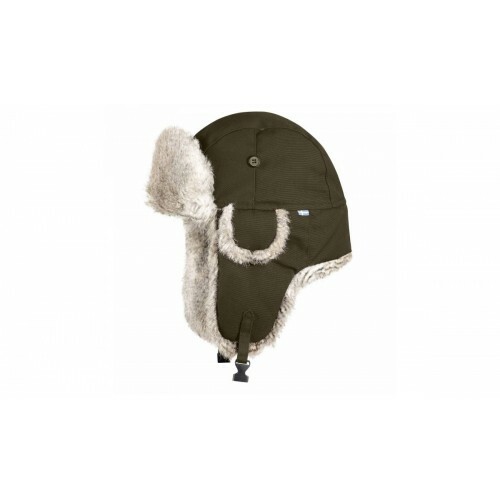 The inside is lined with short synthetic fur that is soft against the skin. A brim that provides protection from falling snow and ear flaps that warm the cheeks and chin. Ear flaps are kept in place with a click buckle under the chin. A pair of extra, smaller ear flaps with “hearing holes” let in sound and can be folded up and fastened into place with a button, or folded down when the wind is cold.